SOFIA: Big-hitting Russian Daniil Medvedev brushed aside Hungary’s Marton Fucsovics 6-4, 6-3 on Sunday to win the Sofia Open title, gifting himself an early birthday present. 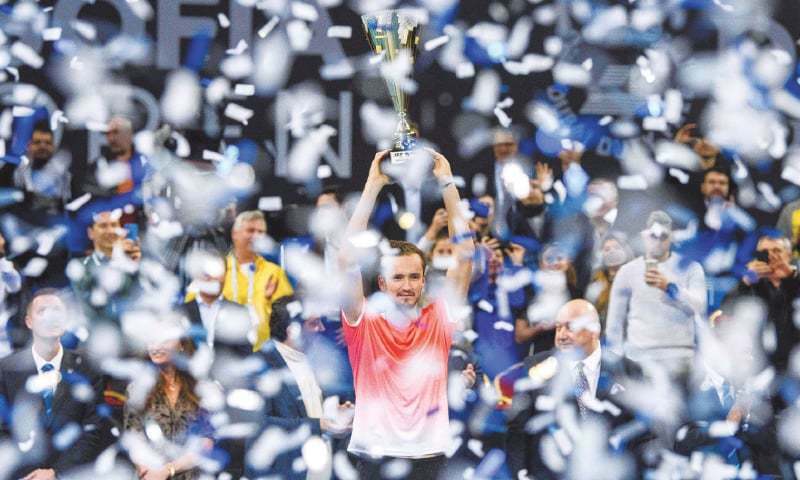 Third seed Medvedev, who turned 23 on Monday, was at his devastating best as he gave the hapless Hungarian a brutal lesson to claim his fourth career title. “I’m happy to win the title - this is what I came here for,” said Medvedev, who flew to Rotterdam alongside Fucsovics on Monday to take part in the ATP event next week.